What About Other Wedding Flowers? Weddings have a number of expenses and most times it can be confusing to understand the pricing rates and why they have such a wide range. Do you go with the cake that averages to $1.50 a slice or the one that costs close to $12.00 a slice? Something as simple a wedding bouquet not only offers a variety of styles but a number of difference price points. In this article, we will take a closer look at the price of a wedding bouquet and what contributes to it. Trying to figure out the cost of a wedding bouquet can be difficult because you have so many choices which will affect the price. 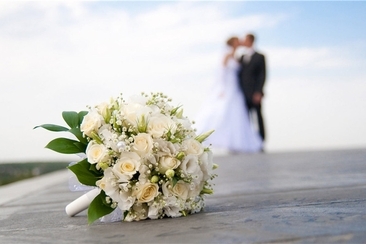 On average, a wedding bouquet can cost between 100 and 150 dollars. 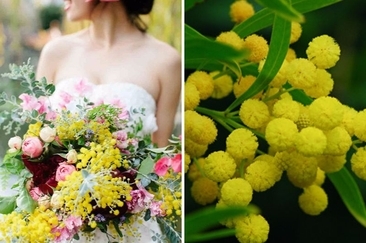 The bridal bouquets tend to start at $65 but can cost up to $255. 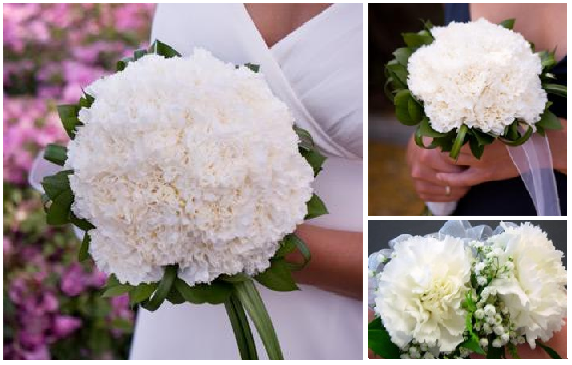 The bridal party bouquets will be a little less typically starting at only $30 but can end up being well over $100. 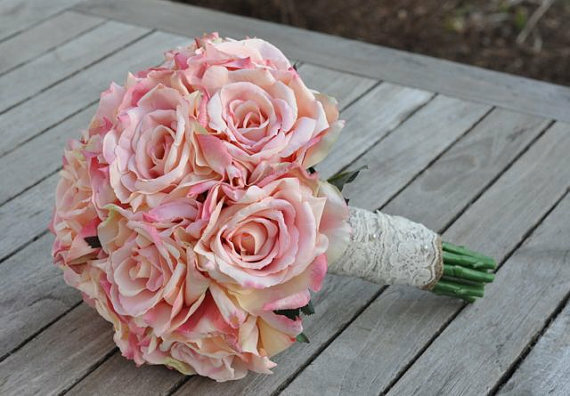 A number of factors will have an impact on your wedding bouquets which you can learn more about below. The Flowers. Many varieties of flowers will all come with different price tags. There are a number of factors that will affect the cost of flowers, such as transportation cost, time of year, and weather. Flowers, like sunflowers, can be much easier to grow and transport than orchids. Flowers that are in season will also have a lower price tag since they most likely will not have to be specially ordered and shipped. The Florist. If you are going with the most experienced and skilled florist or floral designer, the more you can expect to pay. On top of the labor and talent costs, the material used to create the bouquets as well as overhead costs will also be included in. Rent, utilities, transportation, supplies as well as the additional flowers they need to purchase to ensure you have a beautiful bouquet all add up to a higher price. The Bouquet. How much is a wedding bouquet? Of course, the type of bouquet itself will contribute to the price. 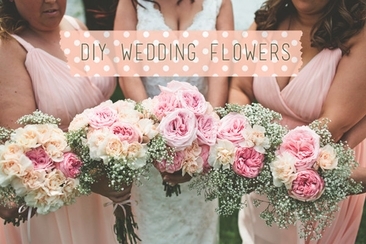 Larger bouquets will cost more than smaller ones, and more delicate flowers will cost you more. 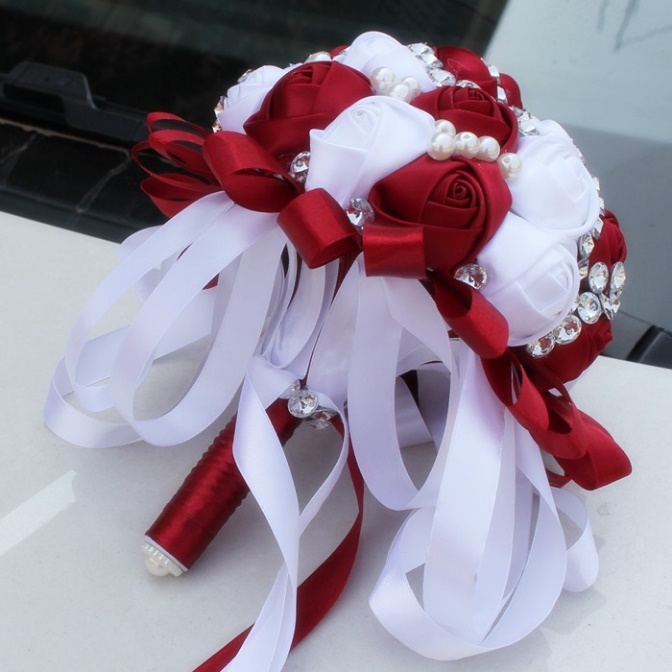 The type of embellishments will also affect the cost like the ribbons you use to hold the bouquets together. Below some bouquets in different prices will be listed for you to know better about the bouquets' price. This bouquet is tightly arranged with carnations, making it a much more affordable yet just as beautiful option for your bridal bouquets. These larger bloom roses require fewer flowers to give the impression of a full bouquet. The additional lace wrap offers vintage touch to hold it all together. The flower used and the material of embellishments make it charge more than the first one. An elaborate ribbon with accents of jewels and pearls ties these perfectly placed roses together in an elegant and gentle bridal bouquet. 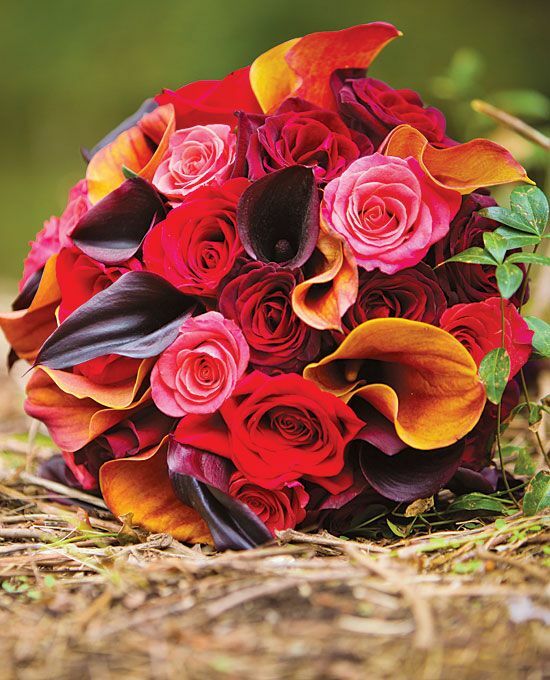 This bouquet offers a variety of flowers from different roses to calla lilies. 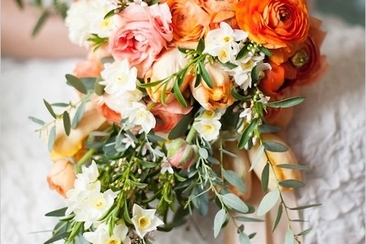 With the inclusion of the foliage details and design, this large bouquet is simply stunning. Knowing "how much is a wedding bouquet" is not enough, the bouquets are not the only flowers you need to consider. 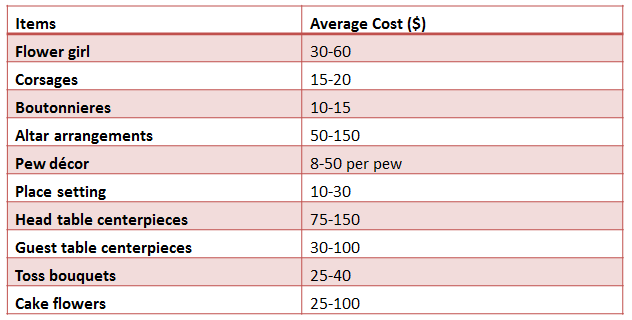 The chart below will help you get a better idea of where else you may want to include a flower arrangement and how much you can expect to pay from them. 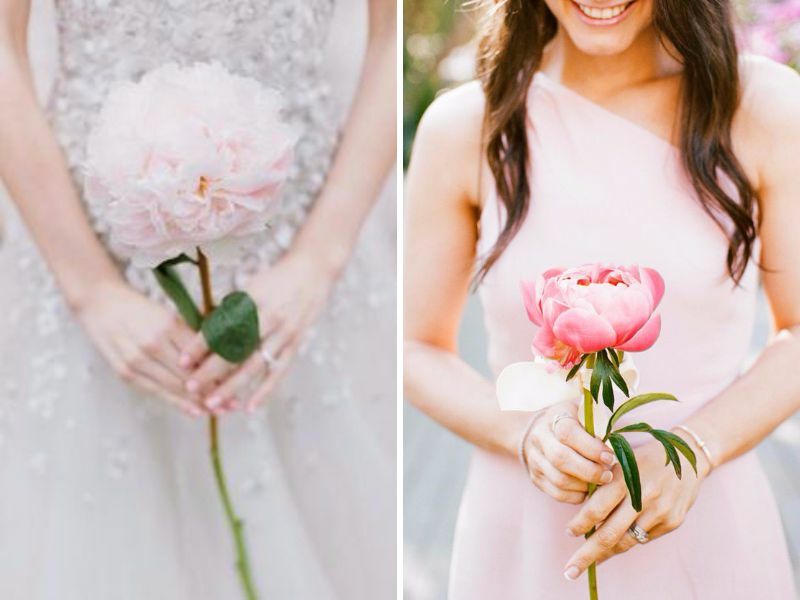 After knowing "How much is a wedding bouquet" and other flower arrangements, you may be intimidated when you start adding up all the flowers for wedding, but there are plenty of ways you can cut some costs. Here are 10 tips that you can try wisely to cut down the costs. The first thing that will get you on the right track to get the beautiful arrangements you want with budget is to tell the florist at the start what your budget is. The florist will be able to create a number of options in your price range and leave out any that you could fall in love with but be more than you can afford. 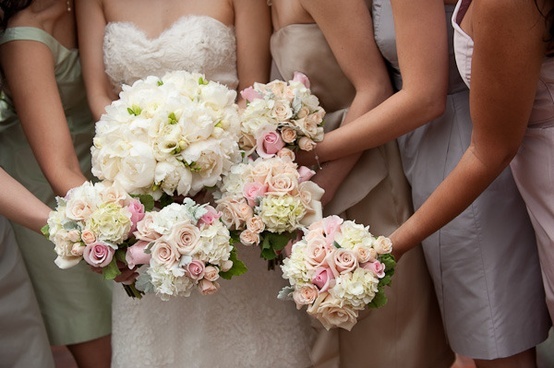 The bouquets your bridesmaids carry can be turned into centerpieces for the reception. Ask your florist how you can reuse the flowers from your ceremony for the arrangements at your receptions. 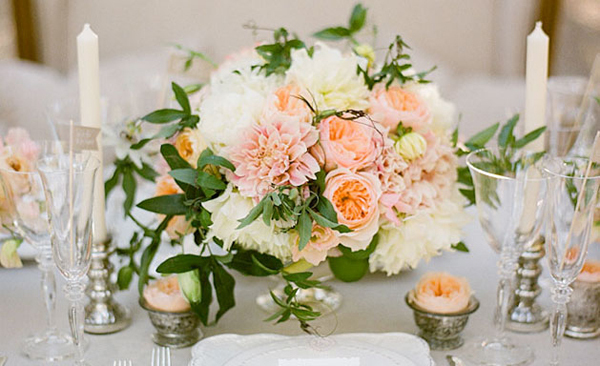 There are a number of ways you can save by only choosing two types of flowers. First, your florist can buy in bulk and secondly it cuts out costly labor expenses. Quick trick: Choose flowers that have similar shapes or color schemes for a cohesive look. You may have an image of your perfect arrangement but the actual flowers used in it can be more than you can afford. Your florist should be able to discuss look-alike flowers that will give you the beautiful results you want but for a fraction of the cost. Do not let the cost of a big bloom flower keep you from considering them. Flowers that have a bigger bloom will not only offer a more unique and dramatic arrangement, you will need less of them to fill the bouquet, which can save your costs. Not only will seasonal flowers save you some money, but it also ensures you get fresher flowers. There are also plenty of year round flowers you can choose from like roses, orchid, and calla lilies. Another trick: Stick with flowers grown locally and you can also cut out costly transportation expenses. 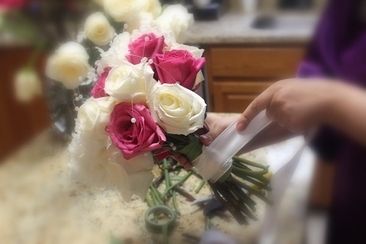 While it can be a time-consuming process that you will be doing just days before the wedding, doing your floral arrangements yourself can cut how much is a wedding bouquet in almost half. You can order the flowers in bulk, buy a floral arrangement kit and get your bridesmaids to help you create the beautiful bouquets yourself. Your bridesmaid’s bouquets do not have to be as extravagant as yours, their bouquets can be smaller and be bulked up with more greenery while still being stunning, but your bridal bouquet should take center stage. So place more attention and details on the arrangements that matter the most to you. Instead of expensive glass vases that will cost you a significant amount, choose to go with a more rustic or vintage look. Jars or glass bottles can be a great inexpensive alternative to elaborate vases. You do not have to stick with the traditional flower bouquets. Many brides are choosing to replace big elaborate bouquets with a simple stem held in a prayer book or an heirloom rosary beads. 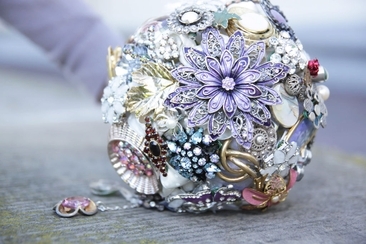 Curious about how to make a brooch bouquet for your wedding day? With our easy to follow step by step guide, you will achieve a gorgeous piece of art, perfect for a glamorous event. 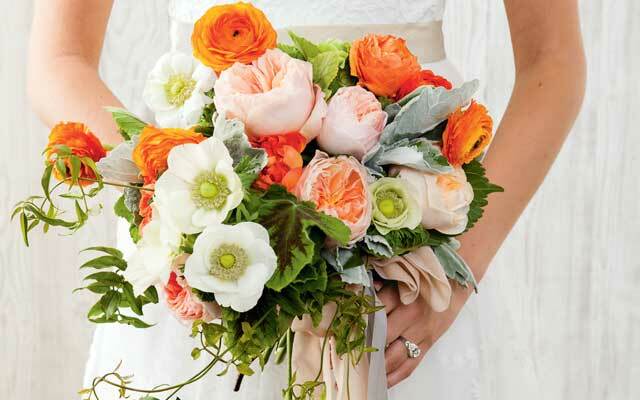 April showers bring May flowers – a host of beautiful blooms are yours for your spring wedding! Start planning and working with this guide to flowers in season in May!